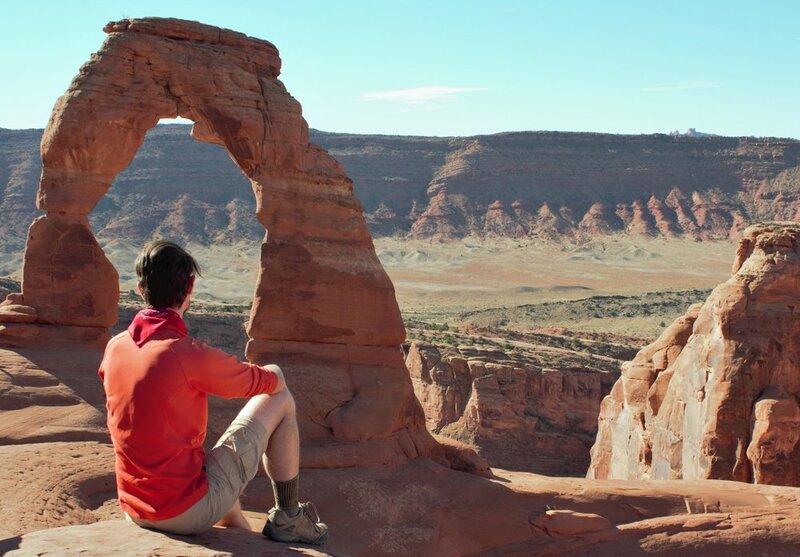 Though world-famous Arches National Park and increasingly popular destinations like Goblin Valley State Park and Little Wild Horse Canyon are must-do adventures in the Green River area, plenty of lesser-known yet no less spectacular places await your discovery. This drive to the Wedge (Utah's little Grand Canyon) combines drive-by scenery and some easy hiking. Be sure to pack your lunch. The strip of Interstate 70 that winds through the Swell is one of the most scenic stretches of interstate in the country and makes for a great drive all by itself, but we recommend you make a roadtrip of it. From Green River, head west and enjoy the views and scenic overlooks as you wind through the Swell all the way to exit 131. From here, head north on Buckhorn Draw Road. You can make stops at a mysterious sink hole and the Buckhorn Draw rock art panel on your way. Continue following signs to the Wedge Overlook, a sweeping vista of the canyon carved by the San Rafael River. You can return the way you came or head east on the Green River Cutoff Road to US-6. These are dirt roads but are well-maintained and should be passable for any vehicle. 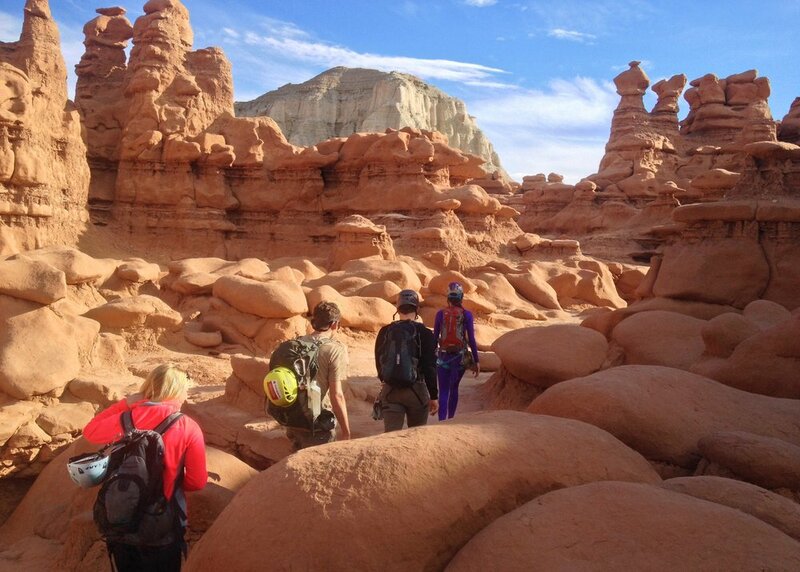 Head back down to the Goblin Valley area to hike two of the best slot canyons in Utah. For adventurers of all ages and skill levels, head to Little Wild Horse Canyon, one of the most spectacular and easily accessible slot canyons in Utah. The committed can finish the whole Little Wild Horse-Bell Canyon loop (about 8 miles), but those content with less can hike as far as they like and then return the way they came. The true adventurous slot canyon experience awaits one mile past Little Wild Horse at Ding and Dang Canyons. This five mile loop provides some more intense scrambling and climbing than Little Wild Horse, but doesn’t require technical skills or gear. The brilliant Red Rock Country between Green River and Moab exemplifies the power of water on this high desert landscape: whittled arches, carved canyons, high bluffs, and large expanses of slickrock reveal the work of water and erosion and provide some of the most breathtaking views and adventures in the entire world. On your second visit to the area, we recommend heading to Canyonlands and then have a little high adventure ziplining across the bluffs. 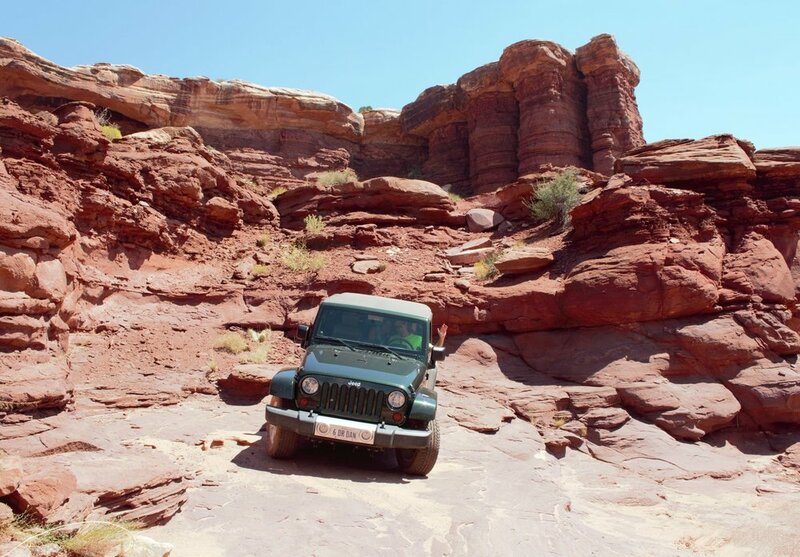 You can pack lunch or drive into Moab for various dining options. Canyonlands National Park provides a veritable wonderland of plateaus, water-carved canyons, mysterious formations, and quiet landscapes. The park is divided into three districts: The Island in the Sky (bounded by the Green River to the west and the Colorado to the east), The Needles (to the southeast) and the very remote Maze district (to the southwest). The Island in the Sky is the most accessible of the three as well as the closest to Green River. The park is far less crowded than neighboring Arches, and if you go for a hike you may only see one or two other individuals. We recommend you plan to drive to the Grand View Point Overlook and take a hike to Mesa Arch or the Upheaval Dome Overlook. This will fill a leisurely morning. Need more high adventure? 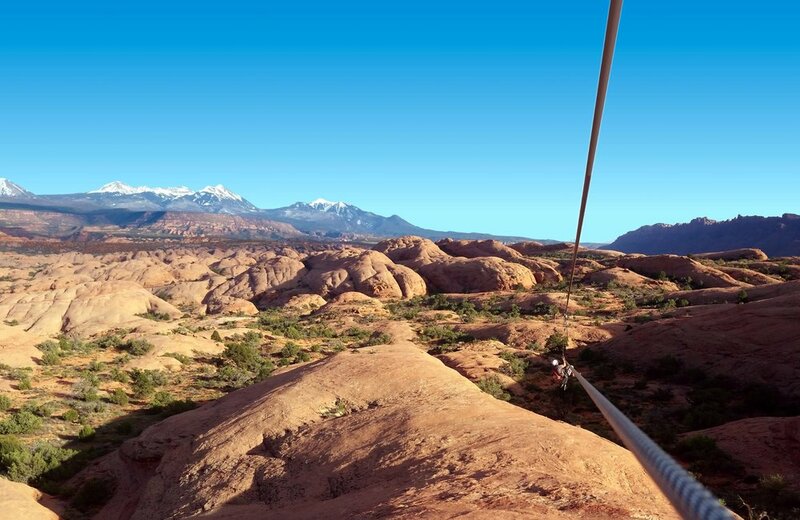 Look to Raven's Rim Zip Line for a unique perspective on the desert landscape. These trips include 4WD off-road excursions, zip lining fun, and a suspension bridge walk. 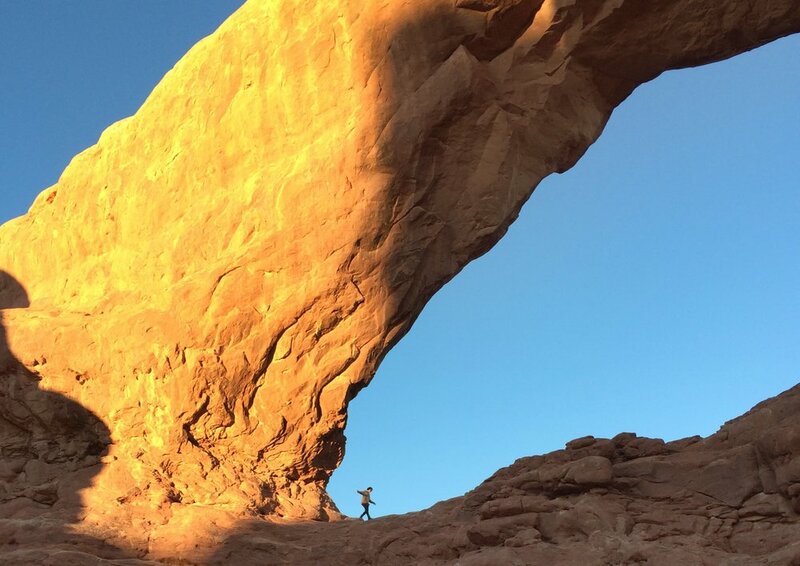 If ziplining isn't your thing, we recommend you spend your afternoon returning to Arches and seeing what you missed on Day 2, such as the Windows, Skyline or Double Arch. Finish your day with another spectaular sunset, this time with under the red glow of the arches. We recommend the short and easy hike to the Windows to see the brilliant colors of dusk merging with the remarkable colors of the sandstone. 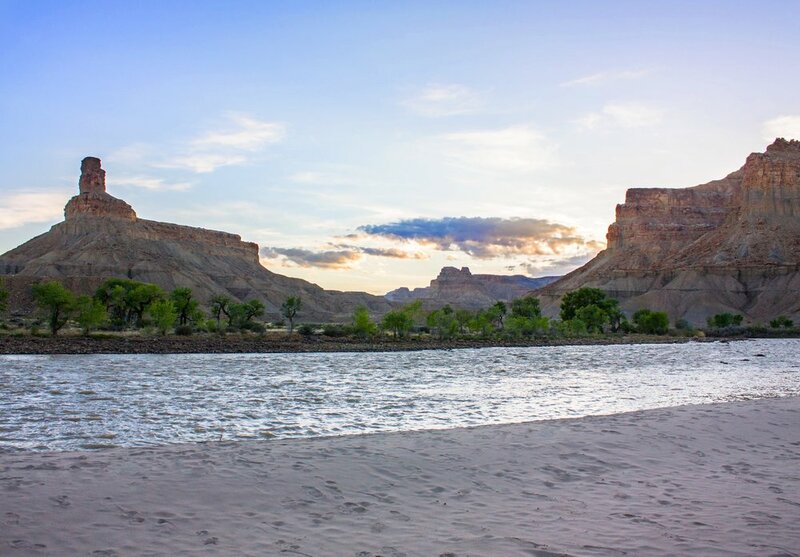 The Green and Colorado Rivers boast some of the best whitewater in the country, and Westwater Canyon on the Colorado provides a thrilling one-day rafting excursion for the adventurer. Both Holiday and CRATE guide services take trips down Westwater in the spring and summer and provide a safe and thrilling experience of these class IV rapids. Looking for a restorative experience in the wondrous landscapes of canyon country? Get in the Wild Adventures offers wilderness yoga excursions that combine the perfect balance of invigorating hiking and rejuvenating yoga practice. This is a great way to soak in the beauty of the region one last time while getting yourself ready for the return home.